Avis Lorraine Stacy, 75, passed peacefully surrounded by her loving family on February 10, 2019. Avis was born on September 11, 1943 in Boston, MA. She was the daughter of Royal and Vetelan Wallace, both deceased, and sibling to 6 brothers and sisters, Richard Wallace, Royal Wallace, Kenneth Wallace (deceased), Sandra Duling and Brenda Wallace. Avis held many trades in her life, had a strong faith, and was always thinking of others. 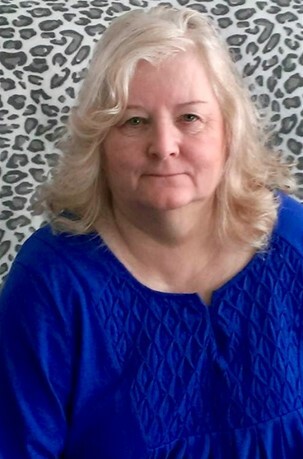 Her occupations included working for Sturm Ruger, taking time off to raise her family, and then going back to work as a Real Estate Agent, and subsequently working as a LNA for Home Health Agency. She also took in and cared for Colleen for over 10 years, who was like a daughter to her. Avis held a love for art and all things nature; following a passion for flowers and plants, she decided to open a florist/gift shop in Newport named Stacy’s Flowers and Gifts. She took her journey into the next life on the birthday of her first pre-deceased grandchild, Tyler Maryn, joining him and her other cherished grandchild, Adam Pysz, in heaven. Avis is remembered by her loving husband of 59 years, Harry Arthur Stacy, her 3 daughters, Lorraine Pysz, Susan Sanderson, and Sandra Carleton, and her 4 grown grandchildren, James Haselton, Lauren Barry, Jennifer Sanderson, and Courtney Carleton, as well as many other devoted nieces and nephews. Calling hours will take place on Friday, February 15, 2019 from 5:00 to 7:00 PM at the Newton-Bartlett Funeral Home, 42 Main St. Newport, NH. A funeral mass will be held on Saturday, February 16, 2019 at 11:00 AM at St. Patrick Catholic Parish in Newport, NH. Burial will be private.